MD Packaging represents a number of industry leading vendors in the field of Primary Automation. Partners such as JLS for pick & place. We partner with Colimatic for tray sealer, vacuum chamber machines and thermoforming systems. Enercon is a leader in induction sealing and has been our partner in Canada since 1989. We partner with TMI for baggers. 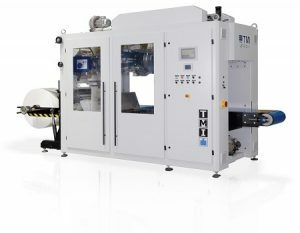 TMI offers both automatic and semi-automatic baggers for various industries and any type of bulk solids.